The Beastmaker 1000 is the ultimate progression orientated fingerboard for all climbers who want to train to the next level. Whether you are a beginner climber or a season pro, the Beastmaker 1000 has an high quality, ergonomic design to enhance your training. The fine texture of the wood is kind to your skin, while the board itself has plenty of varying pocket depths so you can really work on your finger game. The Beastmaker 1000 is hand-built from sustainable North American tulipwood and comes with screws for easy and sturdy mounting. 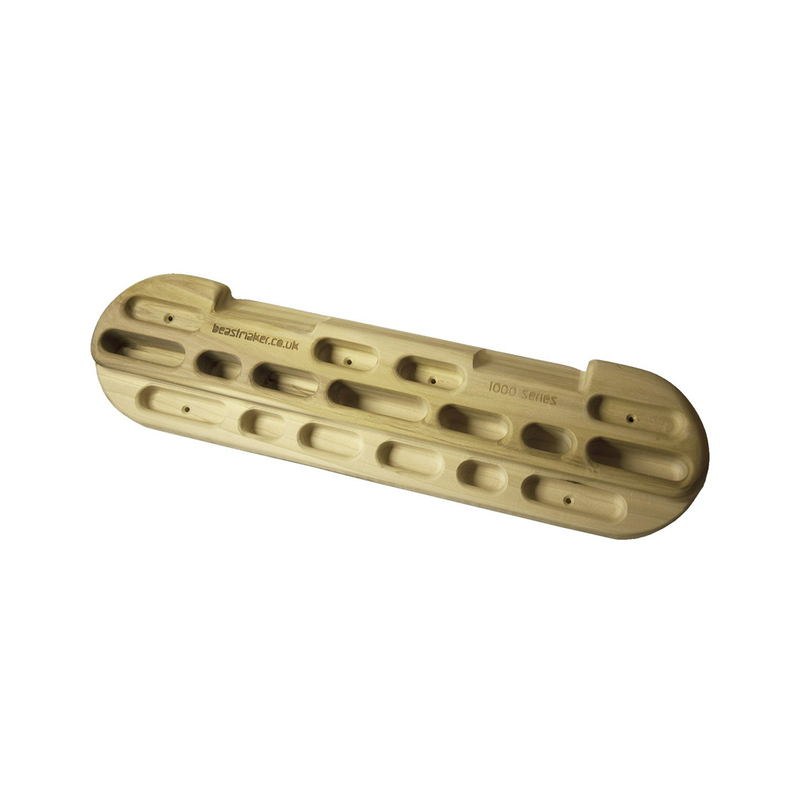 A classic fingerboard for getting you stronger. Great quality, good for training at all levels. Even people that do not know what it is, admire it! Great fingerboard, very goodlooking too! I received this product last week and started training on it. Very solid and with a lot of varying pockets for different levels. I'm pretty sure it will help my climbing. And, if it doesn't or if i get bored, I'll let it hanging on the wall, as it is very good looking, a nice piece of forniture!